A new Holy Family memorial, remembering the unborn and newly born, will be dedicated at Rochester’s Holy Sepulchre Cemetery, 2461 Lake Ave., on Saturday, Oct. 20. The dedication will follow Holy Sepulchre’s monthly memorial Mass taking place at 8:30 a.m. at Christ Our Light Mausoleum. According to Lynn Sullivan, chief executive officer of Holy Sepulchre, the new memorial honors children who were lost to miscarriage or in infancy. 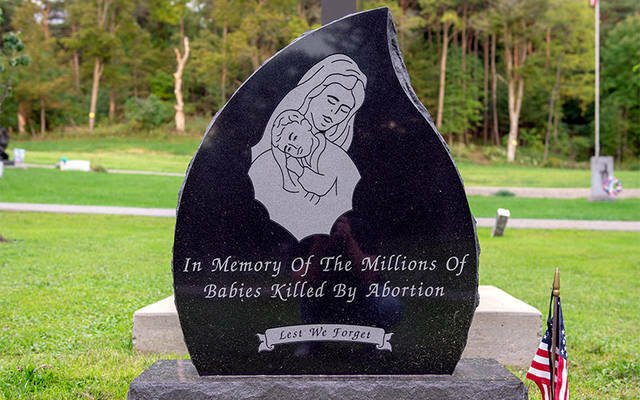 She added that the cemetery also is considering the addition of a memorial for unborn children lost to abortion.